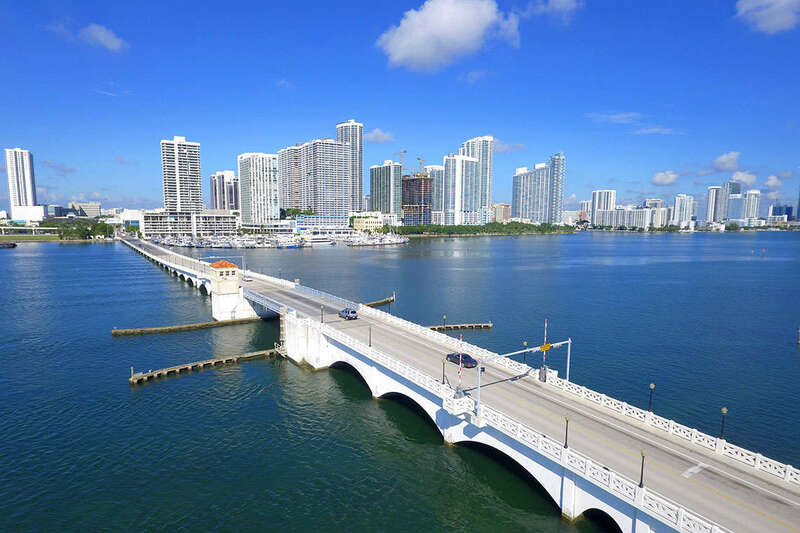 It looks like last years’ repairs to the Venetian Causeway weren’t enough to get the job done, because the bridge was closed yet again last month, according to the Miami News Times. This closure impacted all residents who need to cross Biscayne Bay on a daily basis, but for our city’s cyclists, the closure was both inconvenient and dangerous. Fortunately, the bridge is open once more, but how can Miami cyclists stay safe during their commute in the event of future closures like last month’s? The Venetian Causeway was closed for serious repairs until Dec. 29, causing serious congestion downtown and clogging up the city’s other major bridges with diverted traffic — including cyclist traffic. Although the MacArthur and Julia Tuttle Causeway bridges have bike lanes, many cyclists prefer the Venetian for its calmer, slow-moving traffic and overall safer ride, according to MNT. And it’s little wonder that our city’s cyclists are so particular about which route they take to cross the bay. Florida is the most dangerous state in the nation for cyclists, and the number of crashes involving bikes in Miami-Dade grew 95.7 percent from 2005 to 2013, according to the Florida Department of Transportation. So how can cyclists practice extra caution if the Venetian Causeway — or any of our city’s safer and preferred bike routes — closes again in the future for repairs? Most accidents with cyclists occur because the motorist simply didn’t see them. Make sure you stand out on your bicycle with bright, reflective clothing, advises Yield to Life, a bicycle safety advocacy group. In the dark or in inclement weather, be sure to use reflective lights in the front and back of your bicycle. Miami-Dade County law requires white lights in the front of the bike and red rear reflectors, as well as tire reflectors, so that others can see you more easily. Just as a motorist will signal their intentions with their blinkers, cyclists should let others on the road where they intend to go, to prevent any traffic conflicts. Left Turn: Extend your left arm out sideways, or point left with your index finger. Right Turn: Extend your left arm out sideways, bent up at a 90-degree angle. Alternative Right Turn: Extend your right arm out sideways, or point right with your index finger. Slowing or Stopping: Extend your left or right arm sideways, bent down at a 90 degree angle. Measure your head to make sure your helmet isn’t too big or small. Your helmet should never rock forward or backward on your head. The helmet should sit low on your head, two finger widths above your eyebrows. The buckle should fit snugly under the chin so that no more than one or two fingers fit under the strap. Despite your best efforts to be safe, an accident can still happen to you when you’re riding your bicycle around the city. If you or someone you love has been hurt due to the negligence of a motorist, you don’t have to stand for it. Read more to learn how our car accident attorneys in Miami can defend bicyclists who have been seriously hurt on the road and will fight to try and recover compensation for their injuries. If you are ready to pursue a claim, fill out our free, no-risk case evaluation form today.